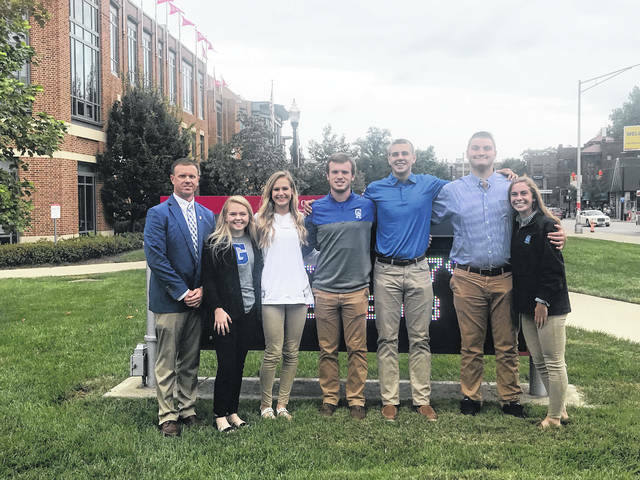 On October 2, a few student athletes from Gallia Academy High School joined other young men and women at the 2018 OHSAA Foundation Student Leadership Conference at The Ohio State University. The theme at this year’s conference was “Dare 2 Be Great.” Alex Barnes, Ben Cox, Sarah Watts, Riley Starnes, MaKenna Caldwell, Zane Loveday and athletic director Adam Clark accompanied 1,500 other student leaders at the event, making it once again the largest student leadership conference in the nation. The students listened to five speakers ranging from Ohio State basketball alumni James “JJ” Sullinger, to motivational coach Harriet Turk. Key talking points focused on how to be leaders, striving for success and overcoming adversity.